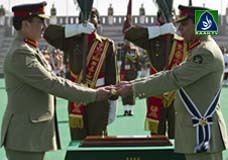 Gen Raheel Sharif gets baton of command. Drone strike kills 3innocents in Miranshah. Supreme court expresses anger for flouting its order.